This weekend&apos;s Leukemia Cup Regatta off the Connecticut shoreline on Long Island Sound raised more than $65,000 to support the Leukemia & Lymphoma Society&apos;s mission to cure leukemia, lymphoma, Hodgkin&apos;s disease and myeloma and improve the quality of life for patients and their families. Rives Potts, general manager of Brewer Pilots Point Marina in Westbrook, Conn., and an accomplished bluewater sailor, captained Stars & Stripes Blue, one of two Formula One 52s that the marina charters from America’s Cup champion Dennis Conner. The day was a sun-dappled, 80-degree winner, with 43 sailboats competing in the regatta. 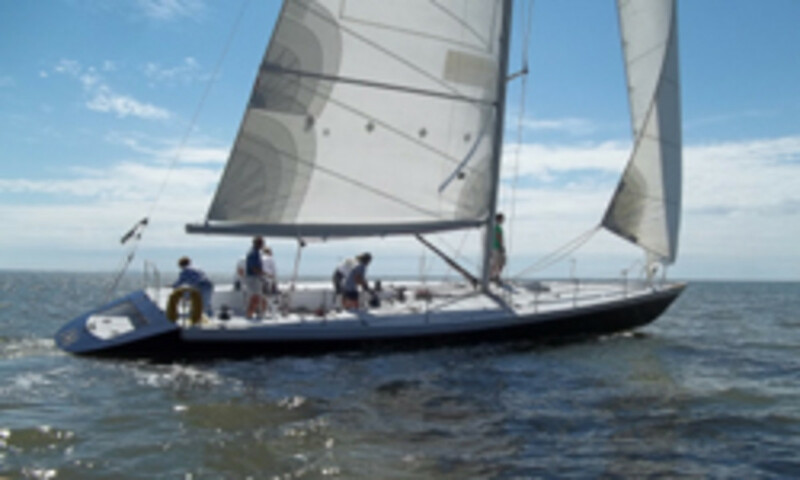 Potts’ boat, staffed by a makeshift crew, finished third in Class Six, a PHRF spinnaker class. The regatta was organized by the Leukemia & Lymphoma Society in partnership with Brewer Pilots Point Marina, North Cove Yacht Club and Duck Island Yacht Club. Priscilla Clark, campaign director of the LLS, said the regatta&apos;s top fundraising boat was Screwball, captained by Kevin Carse, which raised more than $10,000. This is the third year Screwball has received the Leukemia Cup for being the top fundraising boat and crew. The second-place fundraising boat, Jim Lawless&apos; Spinache, raised more than $5,000, and the third-place fundraising boat, David and Kathy Nauber&apos;s Wolverine, raised more than $4,000. Clark said the Connecticut regatta, which was held for the 11th year, has raised more than $500,000 for LLS programs and services.